Occasionally I set myself the goal of completing 30 paintings in 30 days, a way to keep me showing up for my art. The challenge is all about artistic commitment. When I find myself too distracted with other projects and not involved enough with my own art flow, it’s a way to jump start myself and keep my creative juices flowing. 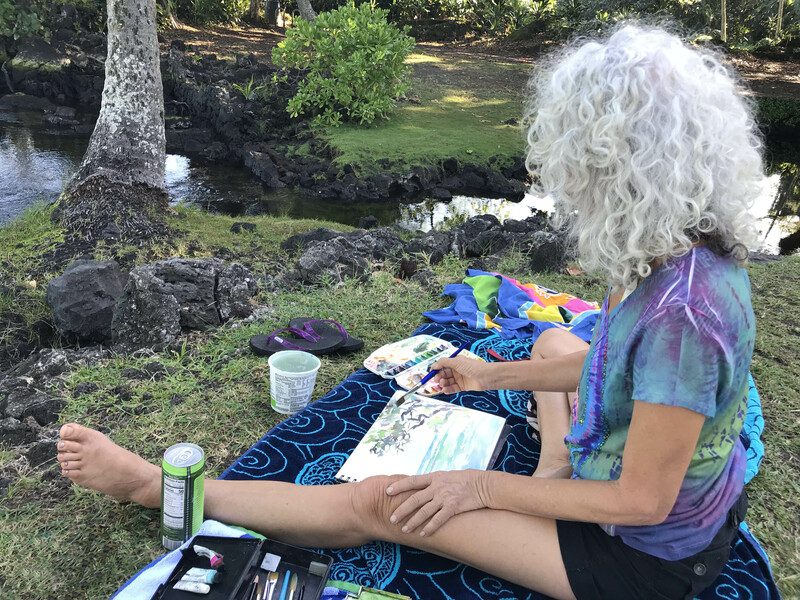 Instead of waiting for a moment of inspiration to start a painting, I find that just showing up with materials in hand and a decision to paint something, I’ll find that the inspiration arises from the process of painting itself. Then at the end of 30 days I have a body of work I that I like, often with news ideas that have sprouted from the process of daily painting. When I begin my next 30 day challenge, I will announce the challenge and post my updated gallery daily.